Goods and Service tax Act (‘GST/ or ‘the Act’)is the most significant fiscal reform to be introduced in the country post-independence. GLS is routinely engaged in providing Litigation Support Services for its clients/business partners before various appellate authorities/forums. Corporate Secretarial Services includes assistance to our Clients/Business Partners to manage and mitigate the risk of corporate non-compliance. 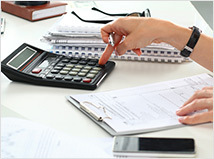 Financial Statements Audit and other assurance services play a crucial role in creating. Unceasing changes and increasing intricacies in economic/financial environment compels the legislators to bring rapid changes in tax laws. With an ever-increasing need for determining the accurate cost particulars of a product to arrive at the correct profitability. India, now being more integrally connected with the global economy, the Foreign Trade Policy has a greater role to play in Indian Economy than ever before. GST Legal Services LLP (‘GLS’) is a consortium of professionals comprising of Chartered Accountants, Cost Accountants, Company Secretaries, Lawyers etc. offering services with a seamless cross practice areas and top of the line expertise to its clients/business partners. Instituted in 2011 by eminent professionals from diverse fields, GLS offers comprehensive services across the entire spectrum of advisory, litigation, compliance and regulatory requirements in the field of taxation, import/export and audit and assurance services. © Copyright 2017. GST Legal Services LLP. All Rights Reserved. | Web Design by Image Online.